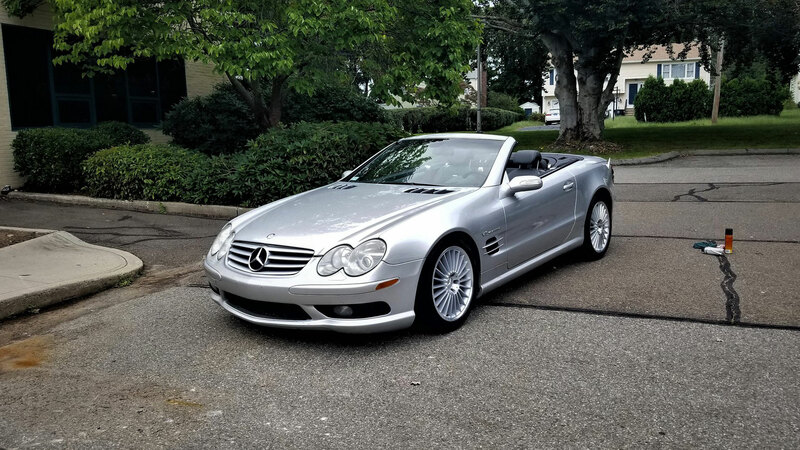 The 2004 Mercedes-Benz SL55 AMG is one of the greatest cars ever made. It's not just the top speed of 208 mph, or the timeless styling, or the sound, the power, the stereo, or the massaging seats, but rather an affection that's more than the sum of it's parts. I don’t mean a car you enjoy as it passes or admire for its status and shiny wheels. Rather, I’m talking about a car for which you have real affection and lust. At least, that's how I felt after scooping one up, dawning a coat of Brilliant Silver Metallic with a full one-owner maintenance history, rare aluminum interior trim, black panoramic glass roof, and keyless start for just $15,000. How I got to that transaction is actually quite the story. It started with my first-ever Uber ride from Connecticut to New Jersey, costing $150. One hundred fifty dollars. I was a mess the entire ride. Part of it was due to my driver who, was not only a father, but a father running late to his son's dentist appointment, stuck in traffic on the George Washington Bridge, with me in the backseat to witness it all. The other part was that I was on my way to drop $15,000 on a car I had never seen before, without insurance, and without a Connecticut license. After arriving, the process actually went very smooth. The seller ended being very accommodating, up front, and I eventually drove home in the SL with the biggest smile I’d had in a very long time. I was in the honeymoon stage. 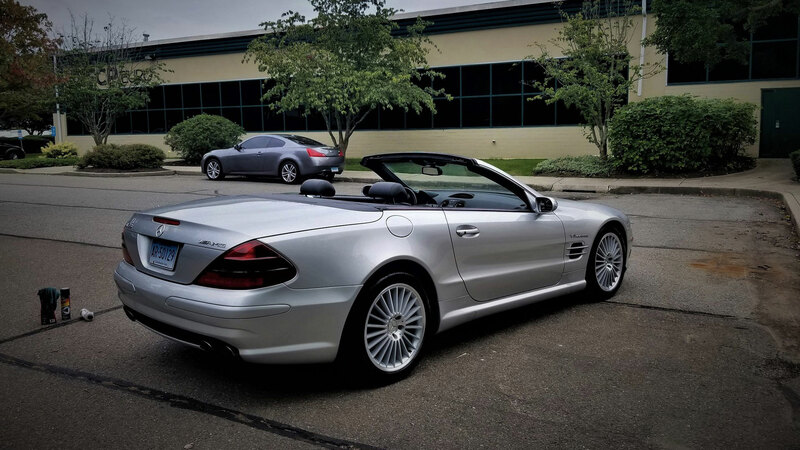 Top-down AMG motoring, a once ~$140,000+ car when new, was mine for $15K.  I accomplished such an important and exciting goal. Cars are my life, my career, my passion, my entertainment, and my therapy. Cars make me the best version of myself and the SL55 had me lovestruck. I even named her - Eve. When it was time for the post-purchase inspection, first things were first - I had to lower it. Eve had the wheel gap of a 4x4 Jeep and, with the gracious help from a friend at work, we lowered Eve with STAR – Mercedes’ diagnostic software. The SL55 AMG has hydraulic suspension Mercedes calls ABC, or “Active Body Control", that continuously adjusts damping and ride height based on real time variables and calculations. Hydraulic pressure pumps up or relieves each corner as it leans or leaps and it all actually works because the way an SL goes down the road is magical. Whether it's a sharp turn or a giant pothole, the suspension and chassis seem to navigate it all perfectly. It's simultaneously a competent corner gripper while docile enough to soak up the rough stuff. 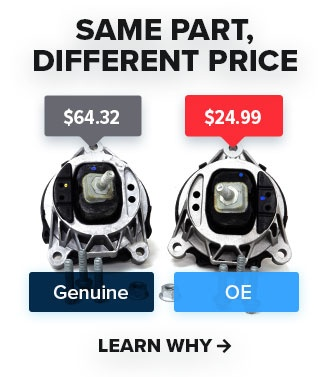 Even the steering feedback is on point, connecting to a front end that has endless grip. With ABC, we were able to lower the ride height a full inch in the front and just under an inch in the rear. With STAR, since voltage values must stay between 2V and 3V for the car to accept the height, we couldn't go any lower. But the way the car sat looked perfect, and I had to rush home anyway. I got just a couple miles down the road when the Service Engine light flashed and a huge cloud of white smoke blew out the rear, like a smoke machine at a bad rock concert. The engine stumbled and would barely idle as it shook the car after I pulled over. Top-down AMG motoring was no more. The bliss I felt on the first ride home from New Jersey was gone. My $15,000 investment now, suddenly, in jeopardy. If you thought I was a mess in the Uber ride on the way to pick up the car, imagine my feelings now, just a few days into vehicle ownership, all of the sudden without one. The engine wouldn't even turn over, it just smelled of fuel and stopped as if it fully seized. It was hot outside, even hotter in the car against the black leather seats, and even hotter inside my brain trying to process all this. After owning this car for one week, I called AAA. My shaky hands held the phone and my voice crackled as I explained the issue. Dollar signs swirled in my head. Click here to read what happened next. - Editor.